Two days before his resignation as Commodore Business Machines' president, Jack Tramiel proudly posed for photographers at the January 1984 Consumer Electronics Show. In his hands were two of the latest Commodore home computers: the 264 and 364. Tramiel knew how these new products should be marketed, what they should cost, and when they should be put on the market. But, the man of whom it has been said ruled over Commodore personnel so tightly that "people didn't go to the bathroom without asking Jack for permission," decided to end his reign on Jan. 13, 1984. 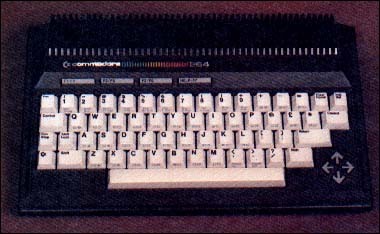 Before Tramiel's resignation, Commodore had announced the 264 series of home computers would be available in April. But the company announced the product would be delayed, or as Jim Gracely of Commodore put it, "put on hold." "When the Commodore 64 was released to the mass market exactly one year ago, we anticipated it would be very well received," said Commodore chairman Irving Gould. "Its reception and continuing strength to date has exceeded our most optimistic projections. "The rate of demand continues to exceed our production in the post-Christmas quarter. As for our plans related to the 264, this new microcomputer is planned to be introduced in a year and time when our capacity permits both a continuing increase in Commodore 64 production as well as large-scale production of the 264." Neil Harris, a Commodore communications executive said of the 264: "Its place in the market has been made unclear by many events in the last few months. There has been some internal talk about the proper configuration for the 264. "When that product line was originally conceived, it was supposed to be a low-end product. The engineers got carried away and designed a 64K machine with all this other stuff in it. I suspect they are going to be rethinking some of that," Harris said. "I can't really tell for sure what the final outcome will be. The graphics chip and BASIC (a new version called 3.5) will certainly be coming out in some machine this year. But, I wouldn't be surprised myself to see a 16K version of that machine before a 64K version comes out," Harris added. The 16K version of the 264 is rumored to be called the 116. The, as yet fictional, 116 included all the features of the 264 with the exception of the 64K random access memory and full-stroke keyboard. The 116 keyboard is "chiclet" style similar to the IBM PCjr. Other sources inside Commodore said the 116 will not be released nor will there be any 16K version of the 264 put on the market. Commodore has received some very negative press and comments on the 264 series -- possibly the result of the fact the 264 and 364 will run only a minimal amount of Commodore 64 software, a real sore spot with market analysts. However, the market this machine is aimed at is different from that of the Commodore 64. The C64 has a sound synthesizer and sprite graphics which make it a superb game computer, in addition to its capabilities as a small business computer. The 264, on the other hand, has less sound capability and does not have sprite graphics. The 264 has two sound generators and BASIC commands (CHAR and LOCATE), which allow STRING of characters to be defined and moved around the screen using X-Y coordinates. A Commodore spokesman said the 264 is aimed at serious home users, writers, financial analysts and small business operators. "The key area we're emphasizing in software for the Commodore 264 is productivity, covering such areas as household management, word processing, calculation, business accounting and education," said Sig Hartmann, president of Commodore Software. "We believe we are in a decade of increased productivity and microcomputers like the Commodore 264 are going to make an important contribution, helping us to get more things done, more things learned, and more things enjoyed in less time than ever before -- without sacrificing quality or efficiency," said Hartmann. The machine is truly a more business-oriented computer with its optional built-in "integrating" software and "screen window" capability. Imagine working with a word processor and data base or electronic spread sheet simultaneously on the screen. This allows writing on the word processor while viewing data from the data base or spread sheet (i.e., addresses, recipes, dates to remember, inventory control data, financial analysis data, etc.). With "integrating" software, data can be exchanged from one program to the other. Data from the data base or spread sheet easily can be inserted into a document on the word processor. "The Commodore 264 is the first personal computer offering a selection of productivity software built into the machine," said Hartmann. "In other words, by choosing a Commodore 264 with a particular software package built in, you can tailor the computer to your own needs. "If you use your computer to do mostly word processing, you can buy the Commodore 264 with professional word processing built in. If you need financial calculation, you can have a built-in electronic spreadsheet . . . plus . . . you can use standard software on cartridge, disk, or tape." The optional built-in software for the Commodore 264 also will be available on plug-in cartridge. For example, if the machine is purchased with a word processor built in and the owner later decides to purchase the electronic spread sheet, the spread sheet can be purchased on an add-on cartridge. "One such package is called "3-PLUS-1," "The name 3-PLUS-1 really describes the product," Hartmann said. "There are three essential types of productivity software -- word processing, electronic spreadsheet and data-base file management. We have added a PLUS which is business graphics, so the user can visually represent spreadsheet data in chart or graph form." The fact the 264 can be purchased in different configurations is another sore spot with market analysts. They believe this feature will force retailers to stock various versions of the system, overloading their inventories. It is unknown how Commodore will handle this problem. The new 3.5 BASIC included in the 264 and 364 is greatly enhanced over the 2.0 BASIC in the Commodore 64. The 3.5 BASIC has several high-resolution graphics commands such as COLOR, DRAW, BOX, CIRCLE AND PAINT. These commands will aid the programmer interested in business applications, which call for the drawing of pie charts and graphs. The 264 and 364 also include the full set of PET keyboard graphics. The 264 and 364 also have eight programmed, reprogrammable function keys. These keys are preprogrammed to perform such functions as: DLOAD -- to easily load a program from disk; DIRECTORY -- to load and display the disk directory without erasing a program in memory; SCNCLR -- to clear the screen; DSAVE -- to easily save a program to disk; RUN, LIST and HELP. The HELP key is very useful when that all too familiar message, "syntax error!" appears. 64K RAM (60K available for BASIC programming). 32K ROM, 48K in the 364. 7501 HMOS microprocessor -- .89 to 1.76 MHz clock (A version of the 6510). ROM cartridge and parallel disk drive port. Two joystick ports (special 264 joysticks only). Works with existing C1541 disk drive, C1526 dot-matrix printer, and C1702 color monitor. Split screen text high resolution graphics. 128 colors (16 colors; eight luminance levels). Screen window capability (window can be user defined). Four separate cursor control keys. Four graphics modes from BASIC including high-resolution. Automatic insert, delete, cursor movement, scrolling and erase functions. 25 rows by 40 characters, 320 X 200 resolution. 3.5 BASIC with more than 75 commands including: high-resolution graphics commands (i.e., CIRCLE, BOX); TRAP, for automatic error trapping; CHAR and LOCATE, for moving characters on the screen; DO/UNTIL looping; GETKEY, waits for key to be pressed; PRINT USING, to format string and numeric output; Full complement of disk operating system commands; SSHAPE and GSHAPE, to save and restore multicolor or high resolution characters as BASIC string variables. The question which remains is how much the 264 and 364 (the 364 includes all the features of the 264 plus a built-in speech synthesizer and numeric keypad) will sell for. As of this writing, the only information Commodore has released is the price will be under $1,000. Sources said, however, the machines will sell from $350 to $500 depending on selected options.